Your laptop’s System icon opens a window or dialog box that serves as a central location for gathering information about your laptop’s hardware, controlling that hardware, and performing minor troubleshooting. 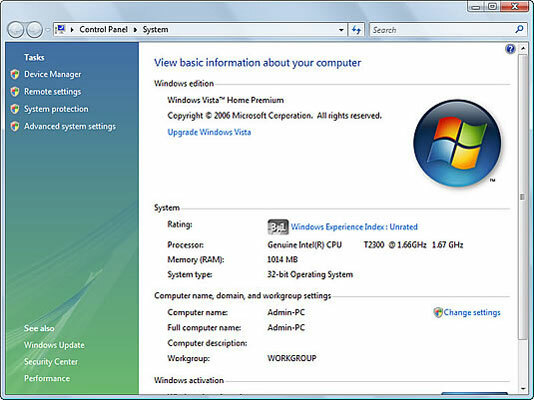 If the Computer/My Computer icon dwells on the desktop, you can quickly get to the System Properties window or dialog box by right clicking that icon and choosing Properties from the context menu. The keyboard shortcut for displaying the System window or dialog box is Win+Break or Alt+Fn+Break or even Alt+Pause, depending on your laptop’s keyboard.